Product information "Dimplex VLTV-OV Volterra Opti-V Electric Basket Fire"
This Volterra basket fire is part of the Dimplex Opti-V® range. This utilises the latest High Definition TV technology to create flames and sparks for a virtual fireplace experience like no other. 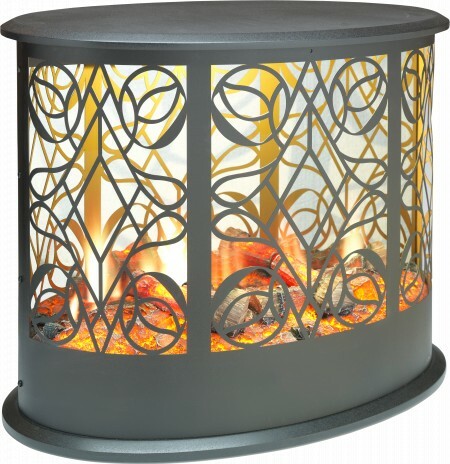 The unique and patent protected design combines ultra-realistic flickering flames with three dimensional LED logs that sporadically spark! With the addition of an audio element of crackling logs, the illusion of a real fire is complete. Related links to "Dimplex VLTV-OV Volterra Opti-V Electric Basket Fire"
Customer evaluation for "Dimplex VLTV-OV Volterra Opti-V Electric Basket Fire"